Recording your favorite radio program or music may seem like a challenge but really it’s quite simple. Here you’ll read why recording live radio and music is so convenient and we’ll offer suggestions of possible recording devices that may work for you. Why would someone want to record a live radio program or music? If you enjoy listening to a radio program daily but don’t have time to listen live or stay up late to catch it, you can record the program and play it back at your convenience. It’s free and subscription is not required. Purchasing music can be expensive. Recording music can be free! If you listen to music from a computer or from an internet radio you can record and play back whenever you like. This is an easy solution to getting music that can be costly. What will you need to record live radio or music? Picking the right device to record and for playback is important. Here are a few questions you may want to ask yourself when making the decision. Will you need a portable device? Having a portable recording device is convenient because sometimes you just need to record your favorite program, song or interview on the fly. Also, your music or radio program is available to listen to at any time whether in your car, on a walk or jog or even when waiting in a line at the grocery store. We suggest the CC Witness Plus. It is small, light-weight, runs on a battery pack, has built in microphones, AM/FM radio and can go anywhere with you. It also has a built in 2GB memory card and the ability to add additional memory. Patch cords are included. Will you need a stationary device? A stationary recording device is normally much larger. It’s considered “table size” and can even be compared to the classic tape recorder. Most stationary devices are supplied with electric cords and have the ability to run on batteries. They have larger display screens and an easier menu to read. The buttons are larger for simple recording and playback. The speaker is also larger which makes for better sound quality. 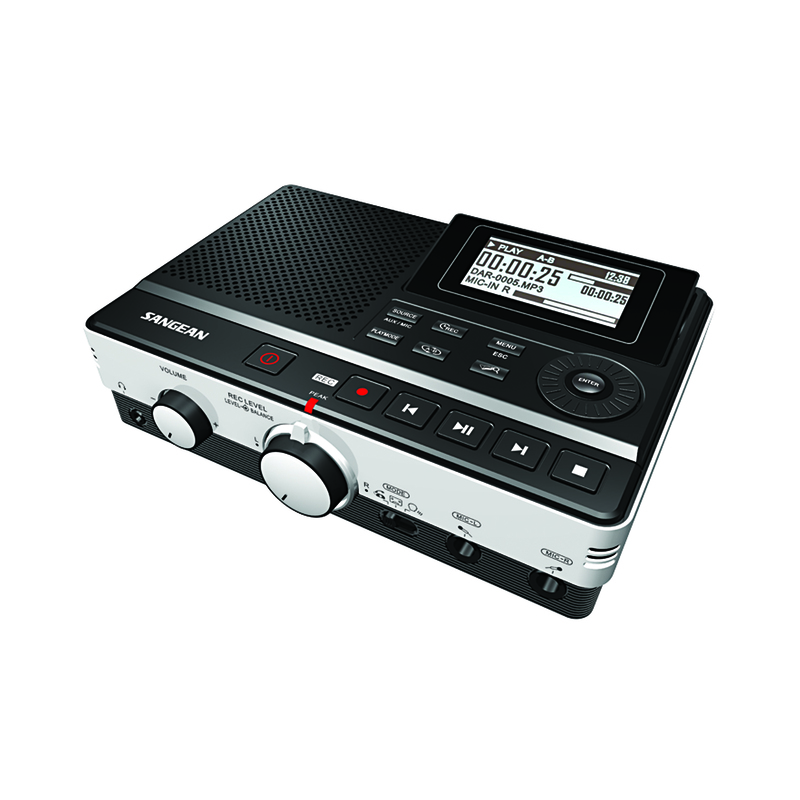 We suggest the Sangean DAR 101 Digital Recorder. 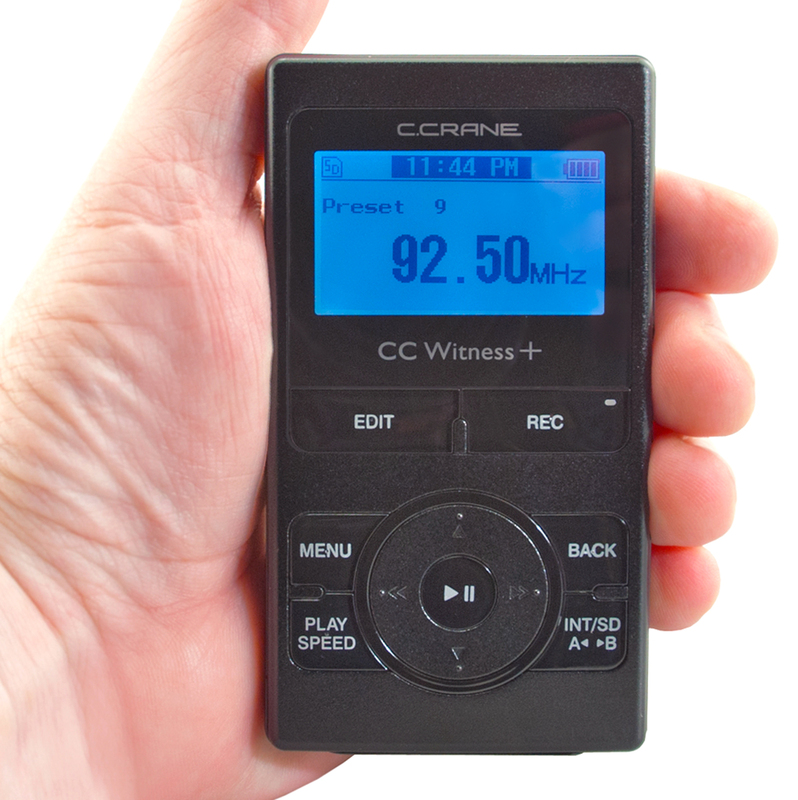 It is considered a stationary recording and playback device that has a large and legible display screen, built in microphones and a high quality speaker. It can be powered by either batteries or a power cord. There is no built in memory but it uses a standard SD card of any brand and size. The Sangean Dar 101 does not have a radio built in but will connect to most AM/FM radios, a computer or audio device you would like to record from. A patch cord to record from other devices is necessary and is not included. Will you need something that is both portable and stationary? Having both a portable and stationary recording device may be necessary for the recording aficionado. We suggest the Sangean PRD8 for this purpose. It’s portable and comes with an electric cord or runs on batteries, records from the built in AM/FM radio or the built in microphone and can connect to other devices. There is no built in memory and requires a standard SD card of any brand or size. A patch cord to record from other devices is necessary and is not included. Recording live radio and music is no longer a challenge with digital recording devices and playback is simple and very convenient. Missing your favorite show or song is practically impossible now. We want to hear about your experience with digital recording and also any questions you may have. Please feel free to leave us a comment or contact us.